Some people might accuse me of producing daily posts that are pure garbage. This article is all about trash. For the first time on this site I am addressing the issue of recycling thinking that this industry is humming right along, and that most conscientious people are doing their due diligence with their garbage. Now I am seeing some disturbing reports concerning this essential weapon on the war on climate change. Systems that consume the least amount of energy in this day and age to maintain civilization as we know it are the ones companies pick and design since they are the least costly to implement, and thus the most profitable. Instead of mining or drilling for raw materials it makes sense to collect used material, such as food packaging containers for example, process the stuff, then use it again. Such a recycling system would make sense, or so it would seem. U.S. recycling programs took off in the 1990s as calls to bury less trash in landfills coincided with China’s demand for materials like corrugated cardboard to feed its economic boom. Ship lines eagerly filled containers that had brought manufactured goods to the U.S. with paper, scrap metal and plastic bottles for the return trip to China. The tedious and sometimes dangerous work of separating out that detritus at processing plants in China prompted officials there to slash the contaminants limit this year to 0.5%. China last week suspended all imports of U.S. recycled materials until June 4, regardless of the quality. The recycling industry interpreted the move as part of the growing rift between the U.S. and China over trade policies and tariffs. Essentially the price for big bales of scrap material are way down due to their overabundance since cities have greatly expanded their recycling programs. 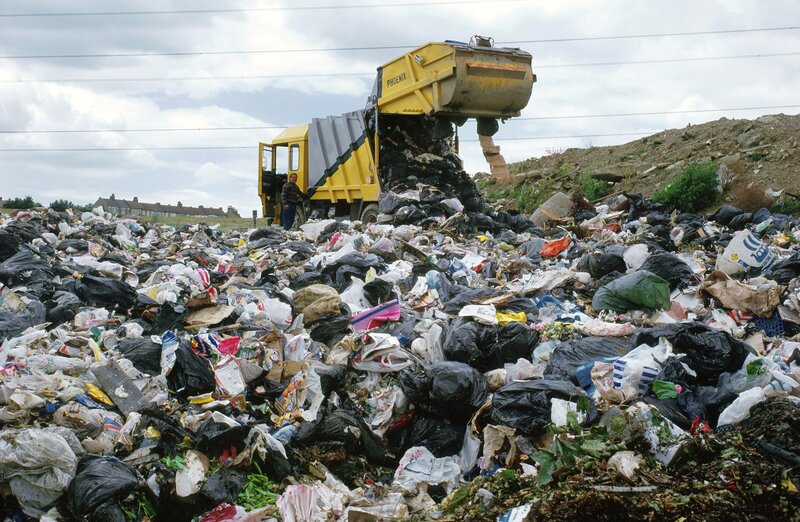 It’s costing waste management companies too much to process the material, so a lot of it has to be put in landfills. There is enough demand for “more pure,” material, so some waste companies are installing expensive separation equipment. Trump’s tariffs are making a bad situation worse since China may import less U.S. recyclables for processung. We have seen reports in the last year of plastics getting into the deepest, most remote ocean trenches on the planet. Images of sea life having to contend with plastics are most disturbing. I imagine that if recycling systems break down this problem will get exponentially worse. What you can do: Check out how your local principality deals with recyclables. If changes are needed demand them. Instead of putting all recyclables, such as aluminum cans and plastics, in one container, go to the trouble of separating them. Insist that your community have separate containers to put glass and newspaper. For that matter, read news from on line sources, cutting down on demand for paper. We all know about the mantra, “Leave it in the ground.” I can make a new one, “Leave the wood in the trees.” Avoid plastic containers and bags if possible. Buy food products that are in recycled material to boost demand for recyclables. Here in Ontario we have; blue boxes for – plastics, glass, & metal containers, gray boxes for – paper, cardboard, & plastic bags, green boxes for – food waste & other organic material, & of course green plastic bags for anything else. As we discussed before, having municipal collection of waste, already sorted by the public into the appropriate boxes, has a much smaller carbon footprint, & is more efficient, than having individuals drop off their sorted waste at collection stations. It saddens me to report this news about recycling today. Perhaps if the United States and for that matter the world had gotten behind national programs with some tax incentives in the 1990s, the recycling industry would not be on such shaky ground now. We can only move forward with some new ideas, which I will report as they cross my radar. I may add more pertinent items to this post later today.